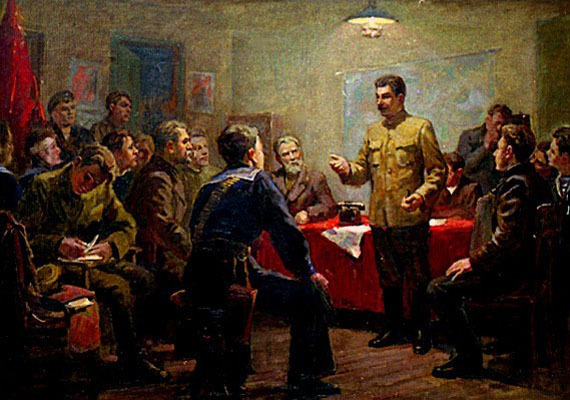 1 Karp Demyanovich TROKHIMENKO: "Stalin as an Organizer of the October Revolution". Oil on canvas, 85 x 117 cm. 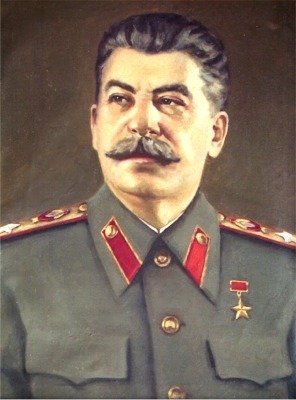 2 Grigori Efimovich SHPOLYNASKI: "Stalin". Oil on canvas, 88.5 x 58 cm, 1949. 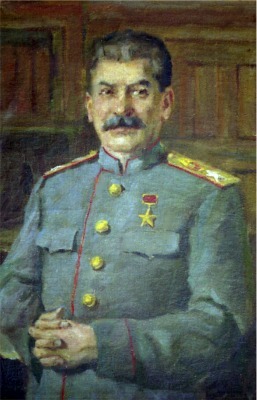 3 Aleksandr Ivanovich LAKTIONOV: "Portrait of Stalin". Oil on canvas, 79.5 x 59.5 cm, 1949. 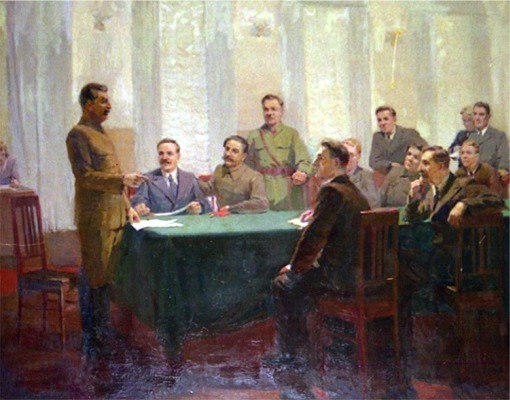 4 Petr Panteleimonovich PARKHET: "Stalin at the 8th Conference of the Highest Council". Oil on canvas, 165 x 220 cm. 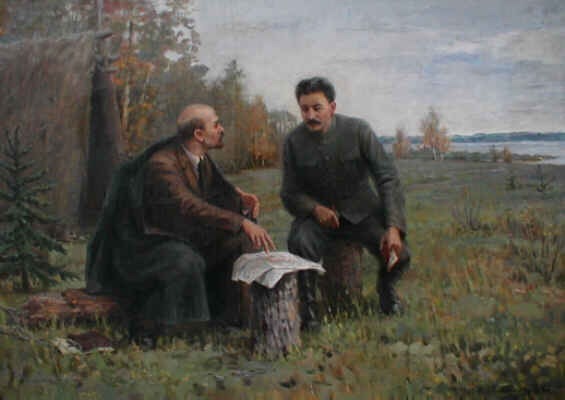 5 Ivan Alekseevich VLADIMIROV: "Lenin and Stalin in Summer 1917". Oil on canvas, 89 x 124 cm. 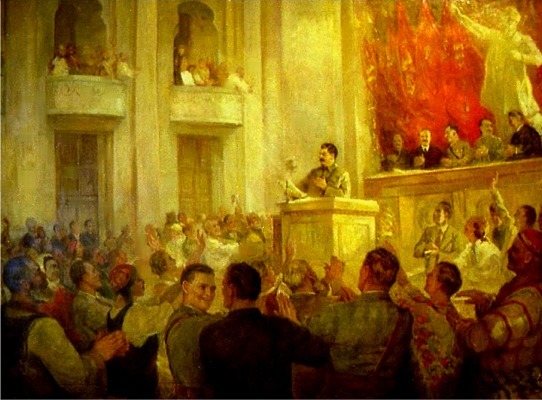 6 Sergei Alekseevich GRIGOREV: "Stalin at a Session of Politicians at the Kremlin". Oil on canvas, 144 x 178 cm.